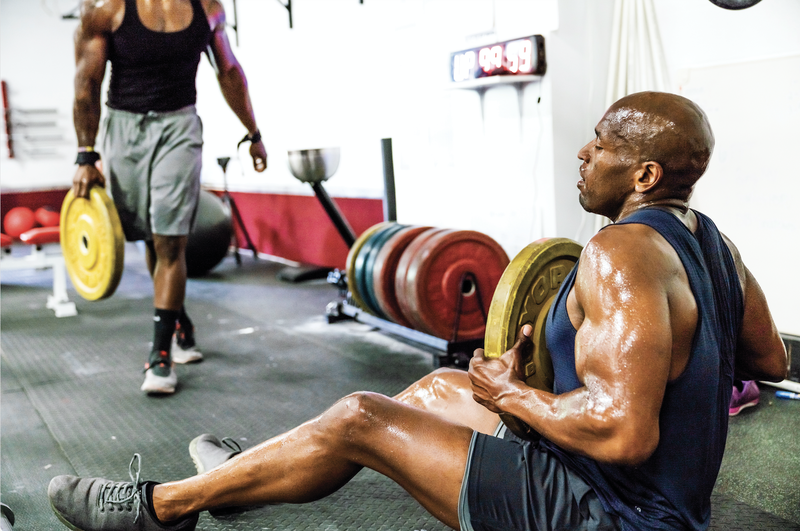 Watching Eugene Monroe on the field, from childhood through college and then the pros, the 6-foot-5 former offensive tackle seemed invincible, a powerhouse who could take one crushing blow after another. Except that’s not how it goes in the NFL—for him or any other player. Monroe, 31, retired because of debilitating injuries in 2016 after two years with the Baltimore Ravens. He was paid handsomely for his talent—but he’s paying, too—with crippling pain every day of his life. He’s not the type to drone on about what the game did to him, but he’s up front about the sport’s physical toll, particularly chronic traumatic encephalopathy (CTE), the degenerative brain disease caused by repetitive brain trauma. He’s also become an advocate against the federal prohibition of cannabis—the only treatment that provides him relief. 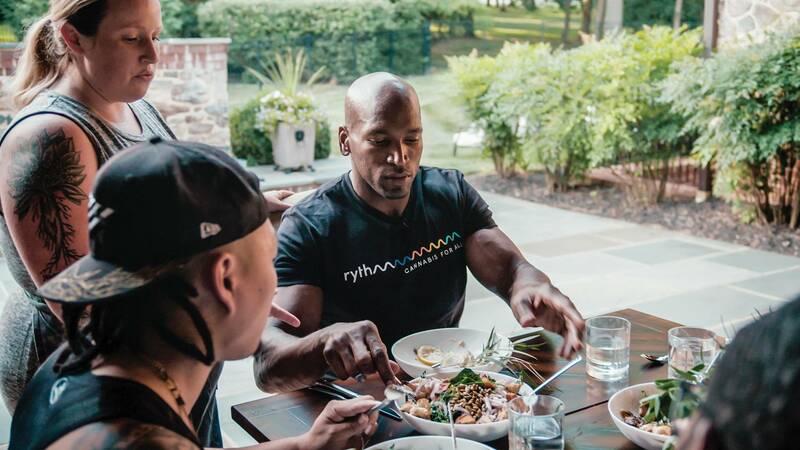 Over a typical workout beginning at 5 a.m.—no less rigorous than the ones from his pro days—and then an infused meal with friends, Monroe shared his post-NFL life and the role of cannabis in his own words. Football hooked Monroe at age 11. In a drill known as “bull in the ring,” he was the target in the center, surrounded by players who each took turns trying to take him down. I remember the first drill … when I had that very first hit. Although I laid out my teammate—and it was an awesome thing—I had butterflies and stars, and my head was spinning, and I went and did it again. You’re really just taught, and trained, and conditioned to accept that. That’s normal. Having stars in your sight, and your head throbbing and spinning, and going and hitting someone again is commonplace. It’s really what you had to do to be able to compete. Unfortunately, that initial hit puts your brain in a vulnerable state, and now you’re hitting it again and again, and compounding these issues. At the University of Virginia, Monroe suffered a major injury; his kneecap was knocked out of place, requiring surgery with many more that followed. That was really also my introduction to taking opioids, having that surgery, and getting that bottle. Before you leave, you’ve got your prescription and you go fill it, and it really starts the course for you to be addicted. I’ve been injured after that, but that was probably the worst one. You know, I played that season. The injury happened in April of 2006—(a) long time ago. I did everything I could to get back on the field. I was able to compete just a little bit. I started the first few games of the year, but my leg just didn’t hold up. I was back in the rehab room every day, just getting treatment, working on it, trying to get back, dealing with the pain and inflammation, taking a ton of pills to do so. Considered one of the two top offensive tackles in the 2009 NFL Draft, Monroe was selected eighth overall by the Jacksonville Jaguars. Before joining the Ravens in 2013, he was arguably among the Jaguars’ best players. But over seven years in the pros, repeated injuries took their toll. I left the game. (The) sum total of all of my injuries included a lot of the concussions and probably the most serious one I had in Denver 2015. … I took a shoulder and a helmet directly to the back of my head while I was on the ground. The next four weeks were just a mess of my life, not really being able to function. I couldn’t open the windows. Any sunlight, whether it was bright outside, or just creeping in the window in the morning, or walking down the hallway, would make me nearly pass out. I still remember that first night after having the concussion in the game, having a miserable trip, my head throbbing the entire time with my head essentially held up in my hands the whole flight. Then we landed, and I woke up the next day, I was going down to the doc’s office. I opened my door, and of course, there’s a ton of sunlight, and natural light, and lights in the hallway of the hotel, and I threw up. The light sensitivity issues that head trauma brings (is) something I deal with a lot. I have good days and bad days. Some days, I can’t walk around the house without shades and other days I can be outside like I am now. The sun’s out and shining, and I’m okay, but it’s just sort of trying to understand why these things happened. These hits that I had fun giving—I didn’t have fun receiving them. You take hits too. You love everything about it, but it’s destroying you at the same time. The side effects from medications Monroe took to relieve pain created a host of problems, each requiring another medication to alleviate an unintended outcome. He didn’t initially use marijuana but an encounter at a bachelor party opened his eyes to its pain-relieving possibilities. The end of a long day means nothing to (my) 6-, 4- and 2-year-old kids with boundless energy. (Marijuana allows me) to decompress and enjoy my kids, and read with my daughter and teach her things, and just enjoy real quality time and not be stressed about everything else that’s going on. I can really just hone in and reduce the pain that I’m feeling so I can hang out with my kids, and (be) in the moment.Stay away from drugs—yes—but when we’re talking about cannabis, we’re talking about a plant that can be used very responsibly. I was a person who hated cannabis. I saw my entire community, really their lives, ruined (after) being arrested for cannabis. I understand the (anti- marijuana) mindset, but I also understand the value of the plant, and how much it is helping me on a daily basis. Monroe is a partner in Green Thumb Industries (GTI), a publicly traded cannabis company with 50 licenses nationwide, including Rise dispensaries in his home state of Maryland. To juggle family life, work and travel, he medicates with cannabis throughout the day, which reduces pain and allows him to never miss a daily workout. My shoulders are jacked up, my neck is in peril. I have degenerative conditions developing in my neck, back, and everywhere else. When I wake up and train in the morning, they’re extremely stiff and sore. 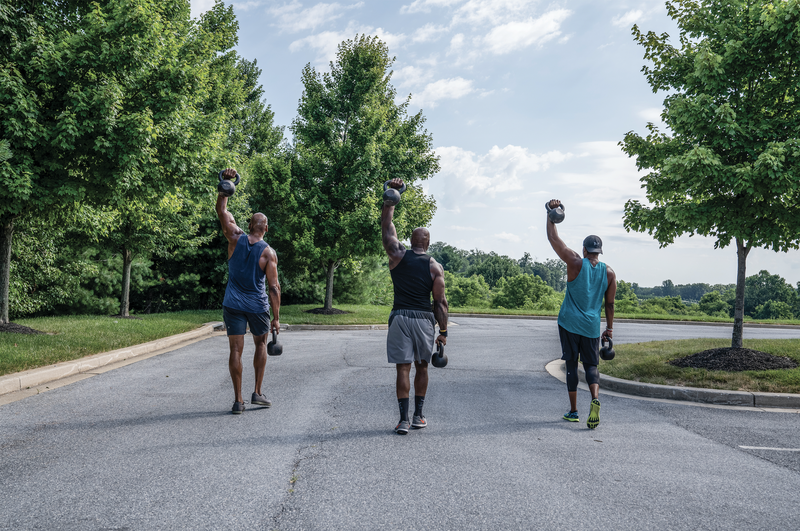 The topical cannabis formulas help alleviate that pain, and lets me push through the workout. Today, I used a 10:1 CBD THC tincture by our Feel Collection. The impact takes effect over a longer duration when consuming cannabis orally. I like that stretch of relief during long sessions. The terpenoid and essential oil combo in our tincture keeps me mostly pain-free, aware, and even-keeled during training. I’ve had a number of surgeries on my left knee and left shoulder, and could benefit from a few more to correct issues that I once just played through. Now they’re a daily problem. I’m maturing as a man and in my time as a baller, these things would feel like complaints. This is just me giving you some reality. Although I’m in a lot of pain, I cannot sit around dwelling in that pain, not exercising and making my health a priority. I’ve seen players, especially linemen but even some running backs, retire, gain weight, and live wealthy and unhealthy lifestyles. Many of them are seeing physicians for issues that develop later in life. Integrating cannabis into my wellness and fitness has been the cornerstone of my success on those fronts. Monroe is fully aware CTE is a degenerative disease that impacts recall and memory. For now, he finds satisfaction in expanding the reach of GTI while pushing for the end of cannabis prohibition. I decided to try to help the business out as much as I could. It’s been the most incredible learning experience I could have ever hoped for. Now in business, I’ve got the opportunity to help every patient that comes through our doors. To watch Monroe, tap here.